2019 marks the 100th anniversary of the Volstead Act or Prohibition! Our featured display this year will focus on prohibition and what led us to it. Ida Christie was president of the Todd County chapter of the Womens Christian Temperance Union - a driving force behind prohibition. We're also digging up information on local bootleggers! 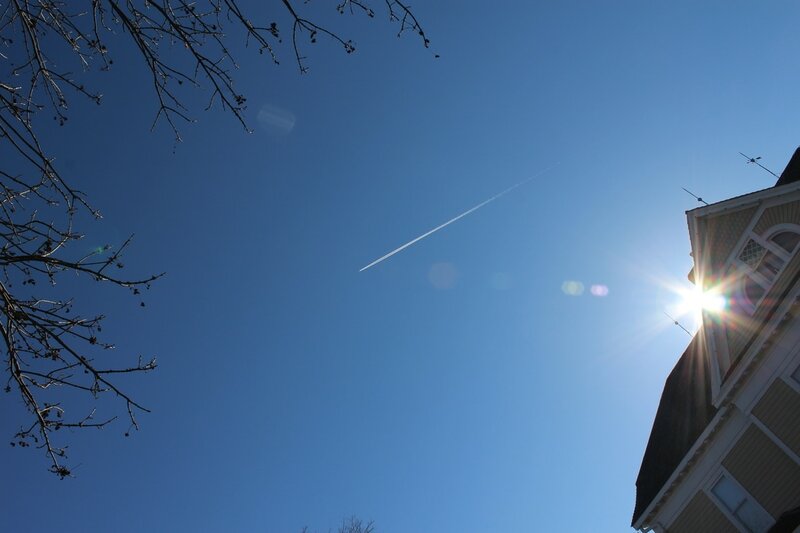 Blue sky and sunshine! 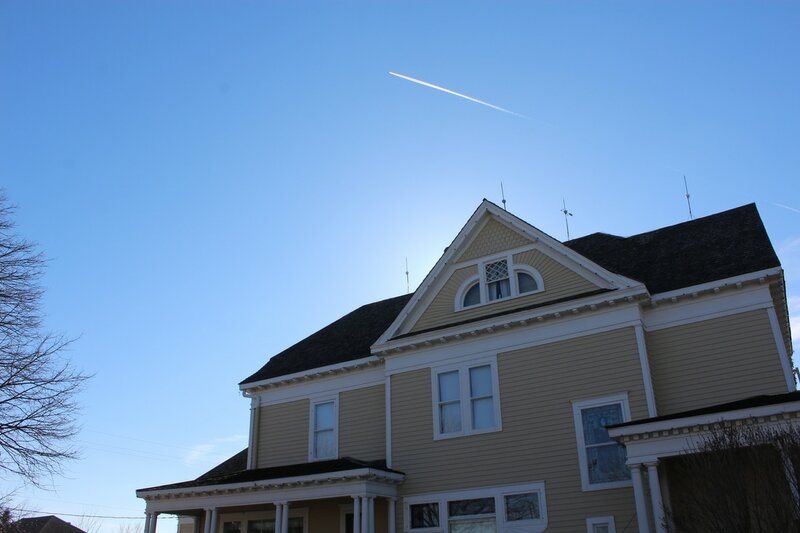 The jet over the house makes one pause to think - this house was built 2 years before the Wright brothers flew their first plane at Kittyhawk! And who would have thought, at the time this house was built, that the house would one day be associated with one of the greatest aviators ever, Charles Lindbergh, whose solo flight across the Atlantic on May 20, 1927 made history. Founded in 1976, the Christie Home Historical Society is dedicated to the preservation and dissemination of knowledge pertaining to the Christie Home, the Long Prairie area, and the state of Minnesota. 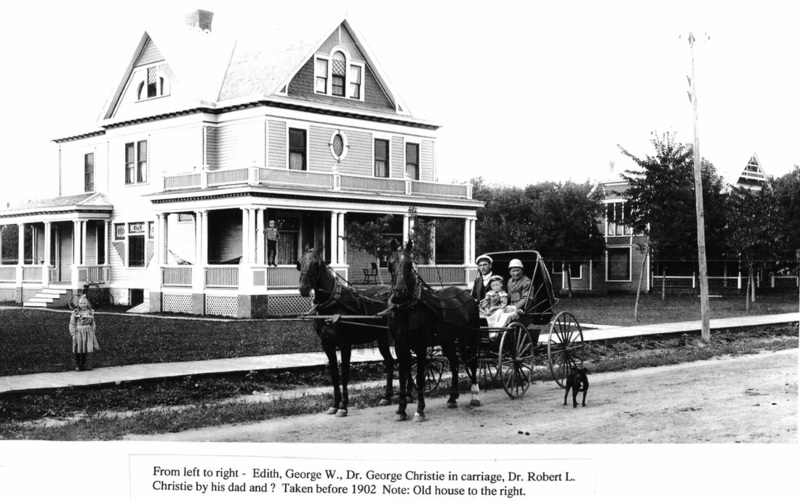 The house, built in Queen Anne Style in 1901, was home to Dr. George R. Christie, Sr, and his family from 1901 - 1976, at which time Dr. Robert Christie, last resident of the home, passed away. The remaining family donated the home to the city of Long Prairie, with the condition that it be maintained as a museum and be open to the public. The home was placed on the National Register of Historic Places in 2006. According to the State Historical Society, the property is unique because the home has remained unchanged over the years. Only the Christie family lived here, and the furnishings and artifacts displayed are original to them. The Christie House is located just one block east of Highway 71 on Central Ave, Long Prairie, MN. 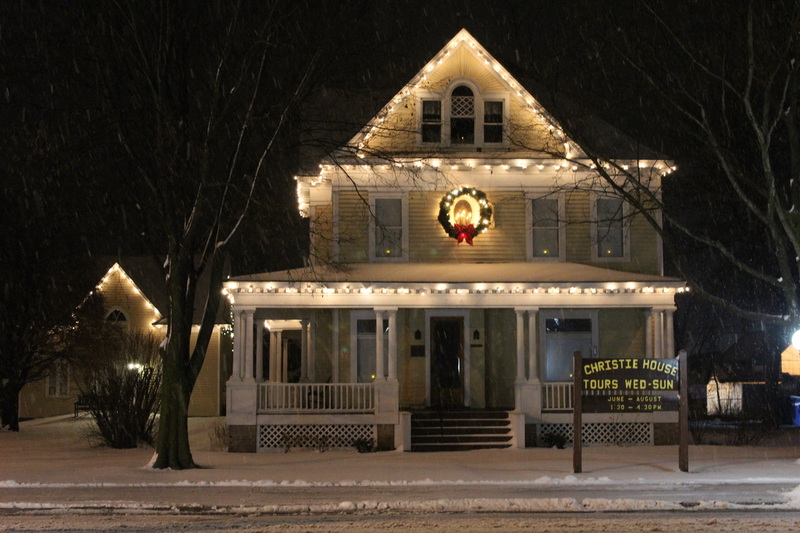 Christie Home Historical Society was formed. vision of what it could be today! THANK YOU to the community for supporting us! ​"You've come a long way, baby!" The "new" Christie home was built in 1901. Edith died in Nov. 1902, thus we know that this photo was taken within that one year window. Note the hammock on the porch and wooden sidewalks! The house in the background is the "old" Christie home, where they lived in the years prior to construction of the new home. That house was removed in the 1970's and the area is now a parking lot.